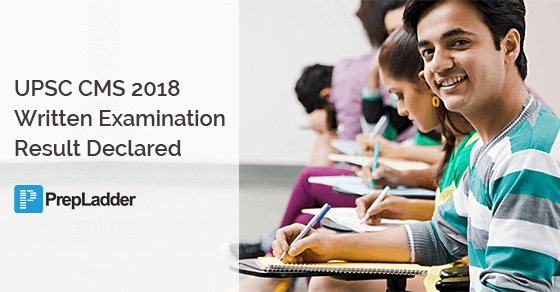 The Union Public Service Commission (UPSC) has declared the result of written part of Common Medical Service Examination, 2018 which was held on 22 July 2018. All those who participated in the exam can now check their result here. On the basis of the result of the written examination, UPSC has released a list of Roll numbers in PDF format for the candidates who have qualified for personality test/ interview. For the ease of the candidates, we have prepared a tool with the help of which you can easily check the status of your result. To use the tool, you'll just have to enter your roll number and the result status will be displayed on the screen. You should be logged in to use this tool. Candidates are further required to fill up the Detailed Application Form (DAF), which will be available on the official website along with other instructions regarding filling-up the DAF, from 13 -27 September 2018 (till 6 pm). Carefully read the instructions for filling up the DAF and Rules of the Combined Medical Services Examination, 2018 with regard to the certificates that must be produced at the time of the interview; In case, candidates fail to bring any or all the required original documents in the interview, he/she will not be permitted to present himself/ herself before the PT Board and no TA will be allowed. The candidature of the selected candidates is provisional subject to the fulfillment of the eligibility in all respects. Candidates are advised to be ready with the original certificates in support of their claims relating to age, educational qualifications, community, physical disability (where applicable) etc. at the time of Personality Test. Schedule for the Interview for the candidates, who have qualified for the Personality Test will be uploaded on the official website in the due course. Moreover, the exact date of interview will be intimated to the candidates through e-summon Letter. Thus, the candidates are requested to stay updated by visiting the official website on regular basis. No request for a change in the date and time of Personality Test intimated to the candidates will be entertained in any circumstances. The mark sheet of the candidates who have not qualified will be uploaded on the official website after the final result publication (i.e after conducting Personality Test) which will remain available on the website for a period of 30 days. Heartiest Congratulations to all the candidates who have cleared the written test & have qualified for Personality test/ Interview.